Using Barbless Circle Hooks ensures released fish survive! 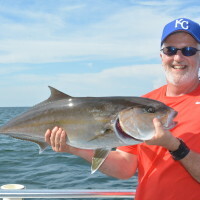 One of the most important things we can do as saltwater anglers is, do what we can to ensure that the fish we catch and release are not harmed during the process. 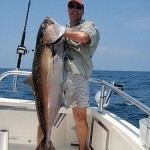 That is why we became the first offshore charter boat in the Gulf of Mexico to use barb-less circle hooks. The reason we even use a circle hook is because they are required by law. 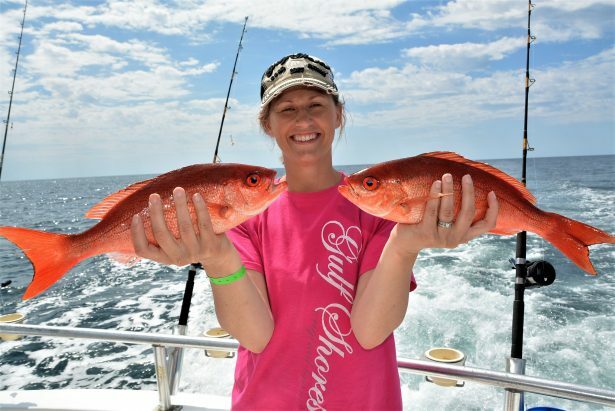 When anyone fishes for reef fish, they must use one. 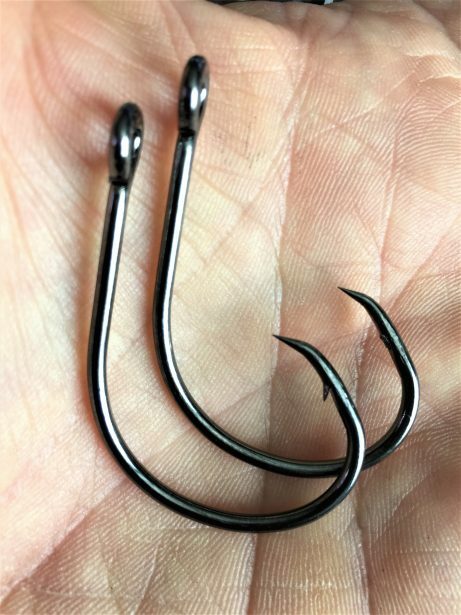 Circle hooks were invented by the Japanese centuries ago and are very effective in catching fish perfectly in the lip. This is a good thing for the fish, but not so good for anglers that get one stuck in their hand or finger. This is because the circle hook we are required to use, has a barb. 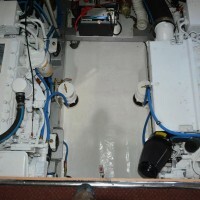 Since we deal with family’s and children, we wanted to do something different than any other charter boat. We want to help fish we release survive and protect our anglers from getting a hook stuck in their hand. We love using barb-less hooks so much, we take fishing with circle hooks to a whole new level. We do this by removing the dangerous barb near the tip of the hook. When a fish bites your bait, the circle hook pulls gently away from the stomach or gills and gently eases into the upper lip of the fish. Because the hook has no barb, they do not harm the fish when we release them. 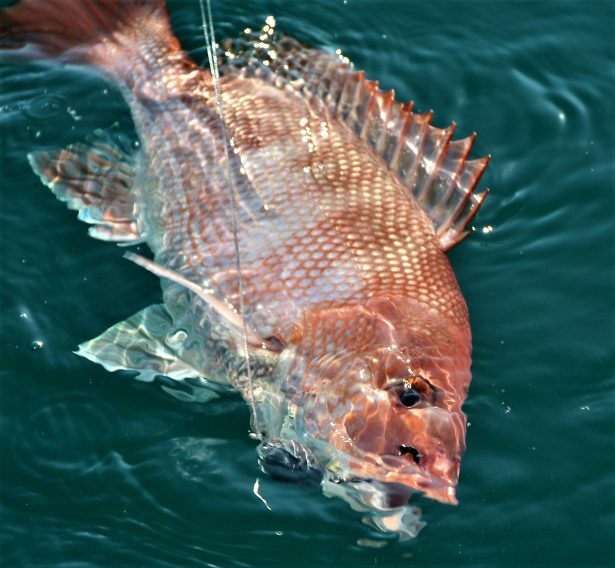 These barb-less hooks are very effective while catching red snapper, triggerfish or amberjack . 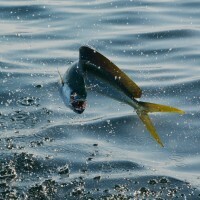 Problems arise when the fish are really hungry and they swallow the entire hook with the bait. When the angler reels the fish in, the hook can become lodged in the throat, gills or the stomach. Another problem we have is when the fish is pulled from the depths, their swim bladder expands. This gas pressure causes the fish’s stomach to invert and protrude out their mouth. This is similar to a scuba diver getting the bends. This protruding stomach makes getting the hook out of their mouth troublesome, because the swollen area makes it hard to grab the hook and remove it. This makes releasing the fish even more problematic. To solve the problem of unhooking the fish, we use barb-less hooks and use a fish descender. These methods help the fish survive. They are much easier to remove than traditional barbed hooks. To minimize the bends, we actually use a fish descending device to take the fish back down to the depth they were caught. It is our responsibility as fishing guides and anglers to be proactive and try our best to not harm those fish we release. Since most of the smaller fish everyone catches today are released, we want to do what is right and make sure those fish survive. The hook on the right, has no barb. They are safer for the fish we catch than the barbed ones. The second reason is for your safety. We have all seen those internet photos of someone with a hook buried in their hand or finger? Those fishing trips usually end up with the boat having to head back to shore, so the person can be taken to the hospital to get a hook removed. Being responsible charter fishing guides like we are, want to do all we can to be safe and ensure anglers don’t get stuck with barbed hook. When we use barb-less circle hooks, if someone were to get hooked, we could easily remove it without doing any damage to the person’s skin and the fishing trip could continue with only a band-aid and a little antibiotic ointment. Barbless circle hooks catch fish as well as regular hooks and they are safe for customers. How effective are barb-less circle hooks at helping anglers keep their fish on the line, all the way to the surface? Using a barb-less circle hook actually makes you a better angler. While learning to use one of these hooks, you will quickly learn not to give your fish any slack. This way they will not get off the hook. 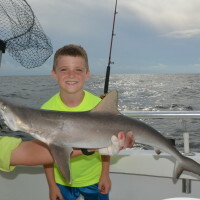 Learning how to catch fish using a barb-less hook is both educational and fun. Believe it or not, we rarely lose any fish because of using a barb-less circle hook. If we do lose one, its not a big deal. You just bait back up and go catch another one just like it. Will we catch big fish using a barb-less circle hook? 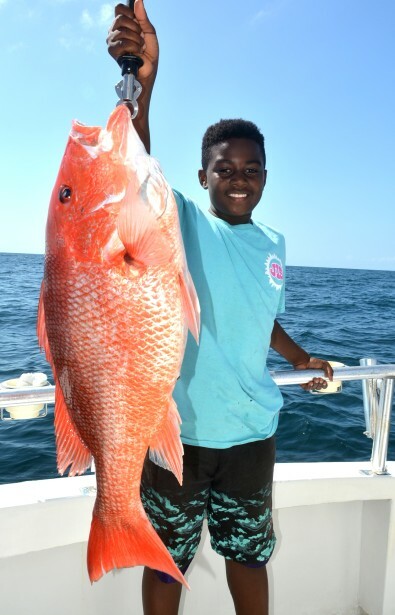 Some red snapper we catch are larger than average, but it takes a little luck and finesse to get them to the top. The answer is YES you can. Big fish are caught every day using these types of hooks. Sometimes the fish wins the battle. They may break your line, wreck you in the structure or use their teeth to cut the line. One thing they can’t do is bite a hook into (most of the time). They may straighten your hook, but whether or not the hook has a barb, has no effect on whether or not you land your fish. If you would like to fish using a barb-less hook and be safe, please give us a call. We would love to show you how to catch them.